The Lemax Village Collection of lighted houses, figurines, accessories and landscaping will bring a smile to your face, and the spirit of the holidays to your heart. Whether you create a quaint display to complement your holiday décor, or build an expansive holiday town, a Lemax village will captivate and delight friends and family members of all ages. From the wonderful world of Lemax Christmas! 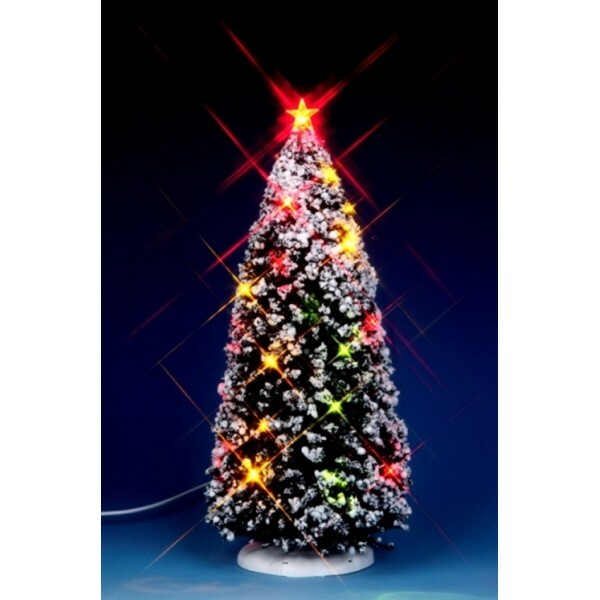 Lighted Christmas Tree with fade-in fade-out tree top.